JBL Control® MTC-TB6/8 Tile Bridge DJParts - All Variety of Parts that DJ Needs. Robust 18-gauge steel construction with an epoxy based powdercoat finish. Over-The-Grid design reduces sound transmission to ceiling grid thereby minimizing rattle. 310 mm (12.2 inch) opening accommodating both Control 328C/CT and Control 227C/CT models. 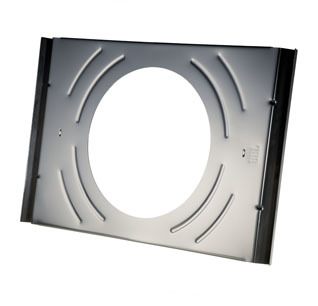 Fits 610 mm (24 inch) and 600 mm (23.6 inch) tile grids.